Fort Fido Dog Daycare & Boarding News Blog: Have you met 'Hulk" yet? Have you met 'Hulk" yet? No, he's not coming to The Fort anytime soon lol. 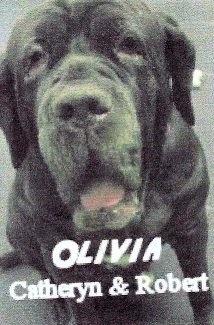 Believe it or not, that Hulk fella is only ten more pounds than our biggest on record, Olivia, who was a 165 pound Neopolitan Mastiff. Talk about "runnin with the BIG DOGS"!